Pastor of a new generation church, Divine Prophetic Ministry has been shot by unknown gunmen close to his church, along Anambra Secretariat Road in Awka. The Pastor, David Elijah Chidiebere, who is in his early 30s, is the General Overseer of the church which relocated to the Secretariat Road permanent site of the church last year. The church usually holds a special service every Thursday, which the flamboyant pastor attends from his Enugu base. It was not clear at press time, if it was an assassination attempt, but News Express learnt that the Pastor was trailed by the gunmen until he got to the church. The worshippers who were inside the church premises on hearing gunshots sound scampered for safety. There was pandemonium, and people ran in different directions, not knowing that it was their Pastor, who usually arrive at the church, mostly after midday for regular Thursday special service that was shot. 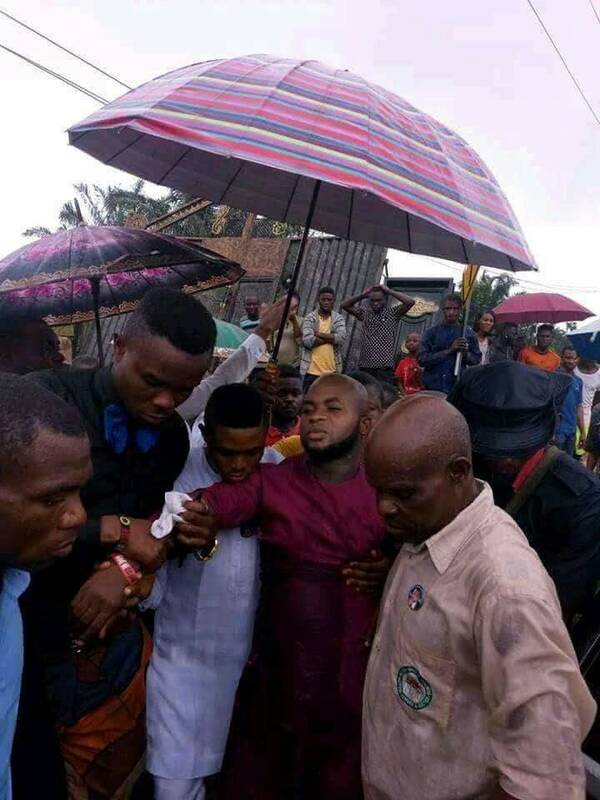 On realising that it was the Pastor, many people rushed to the scene, with some carrying him into another vehicle while others sobbed uncontrollably. Pastor Elijah, who is fondly called daddy or prophet by his members is known for his very captivating prophecies and healing miracles in Anambra State and beyond, was said to be the envy of some fellow pastors who felt that his miraculous activities had led to drop in the membership of their own churches. It was further gathered that the assailants demanded N5 million from the pastor who was in the habit of giving out large sums of money to his members. He allegedly offered to give his assailants N1 million so as not to kill him, but they rejected it and shot him. They subsequently rid his vehicle with bullets, leaving him in the pool of blood and also made away with undisclosed sum in his possession. Ironically, the church is located about 400 meters for the state Secretariat Divisional Police Station.